The military's brightest minds take on the United States' toughest legal challenges, inside the courtroom and out, in the only law office in the world where every attorney is trained as a prosecutor, a defense lawyer, an investigator and a Marine. Operating out of Judge Advocate General Headquarters in Quantico, these active-duty Marines are attorneys who have chosen to serve their country in pursuit of military justice at home and abroad, putting aside their ideals for the sake of the truth. ▼ Episode 2 - P.O.G. A look at the professional and personal lives of some of the military's brightest legal minds who take on our country’s toughest legal challenges, inside the courtroom and out. 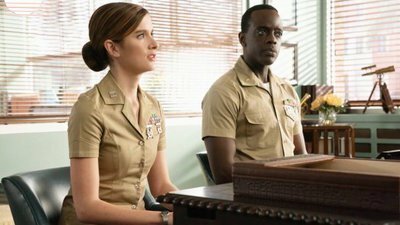 It focuses on the only law firm in the world where every attorney is trained as a prosecutor, a defense lawyer, an investigator and a Marine. 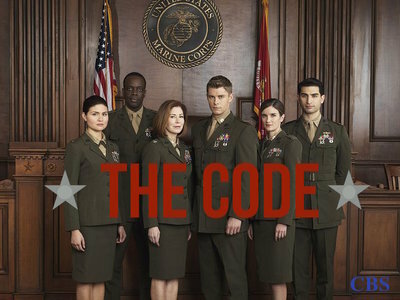 The Code, starring TV vet Dana Delany (Body of Proof, Desperate Housewives) will premiere on Tuesday, April 9, following an NCIS lead-in. It will then will move to its regular Monday slot on April 15th at 9:00 PM after Magnum P.I. completes its season order.